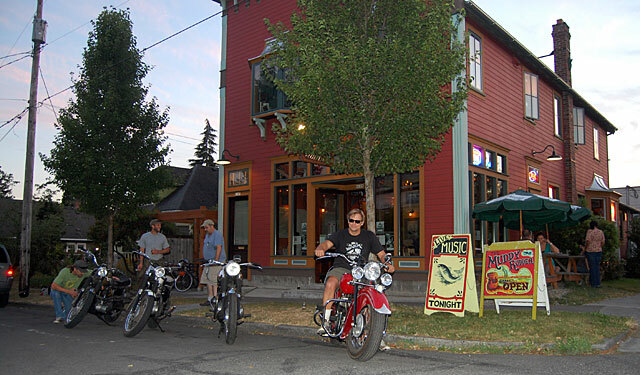 Located in the Sellwood neighborhood of Southeast Portland, the Muddy Rudder features great food & beer, a full bar and live music. A personal size pizza with shredded mozzarella. A cup of soup and a side salad. Served with flat bread. A half sandwich with a cup of soup or side salad. Toasted ciabatta bread with tomatoes, garlic, basil and olive oil. Served with a salad of baby greens and our house vinaigrette. Chickpeas, mint, red onion, toasted sesame seeds, olive oil and lemon juice. Served on a bed of baby greens. Kitchen stops serving 1.5 hours before close - minors permitted until 8:00 pm. See the full music calendar.